Mayor Bill de Blasio’s administration put together a file of allegations against Department of Investigation Commissioner Mark Peters that would have justified removing him from his position. The document, which the office of Corporation Counsel Zachary Carter compiled, outlines three incidents where Peters threatened to arrest city employees if they did not follow his orders or used abusive language, according to the New York Daily News. The behavior is centered on Peters’ interactions with different city agencies over the DOI’s plans to move to new offices. It has a signature line reading “Bill de Blasio,” but the mayor never signed it, and a source told the News he has not seen the document but had been briefed on what it contained. He decided the allegations could not justify removing Peters but should be investigated further. 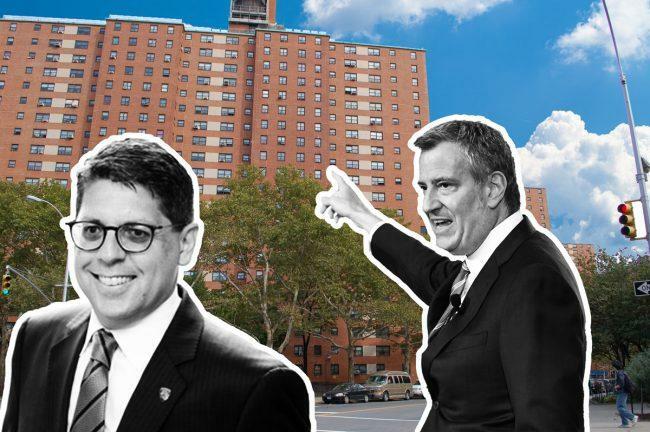 Peters has launched multiple investigations criticizing the de Blasio administration, including exposing the lead paint scandal at the New York City Housing Authority. When the document was drafted, de Blasio was upset over the DOI’s effort to take control of the Special Commissioner of Investigation for schools, according to the News. Peters told the publication he knew about the document but stressed that nothing had come of it.